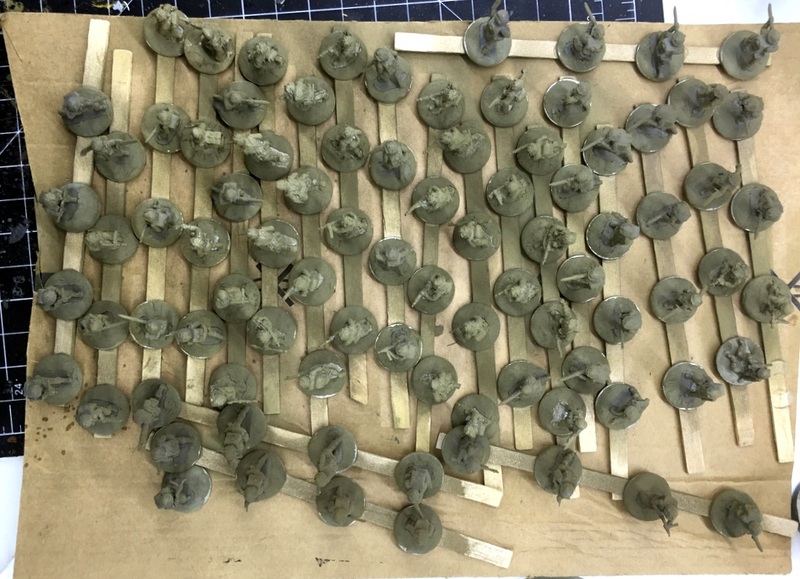 When Chris announced a Flames of War Great War tournament back at the end of April, that was the motivation I needed to (finally) start making progress on painting all the stuff I’d picked up for it over the back half of last year. Well, just over a month later, I’m almost done painting all of it. Progress really flew, as I’ve mentioned. It’s been pretty empowering, really. Between making super fast progress on these (all told, it was just a hair over a month, which is less time than I’d expected) and the release of the Flames of War – Pacific (the theater I find more interesting), I’ve started picking up some USMC models. 506 – “Mephisto” – blotchy, soft-edge camo. Devil on the front. Need to do the camo on the two, then details, the weather them and I’m done. Maybe I can finish that this week? My Deadzone Infestation pledge showed up last week (it was delayed by a pledge manager SNAFU). So far I’m liking what I see; probably have a longer, rambling post about it. Got a crapton of terrain out of it; I’ve been making quick progress prepping the bits. Finally, once the A7Vs are done, I’ve got a bit over a 100 1:72 Red Devils to paint up for an Arnhem game we’ve been planning for later this year. 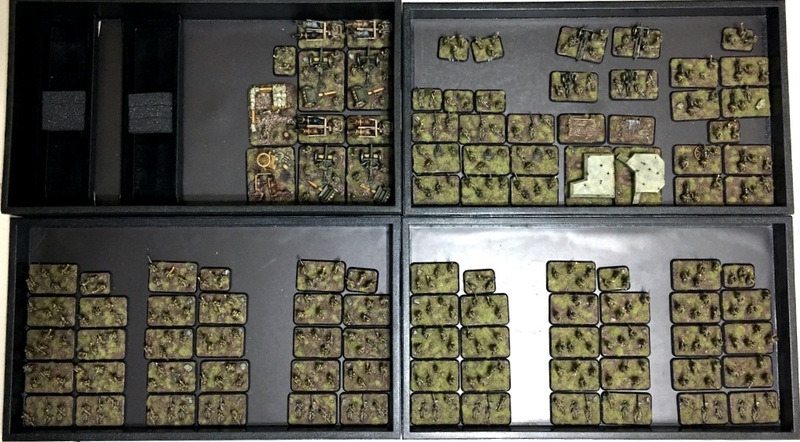 These are mostly Plastic Soldier Company, but with some Eureka minis in there, too. 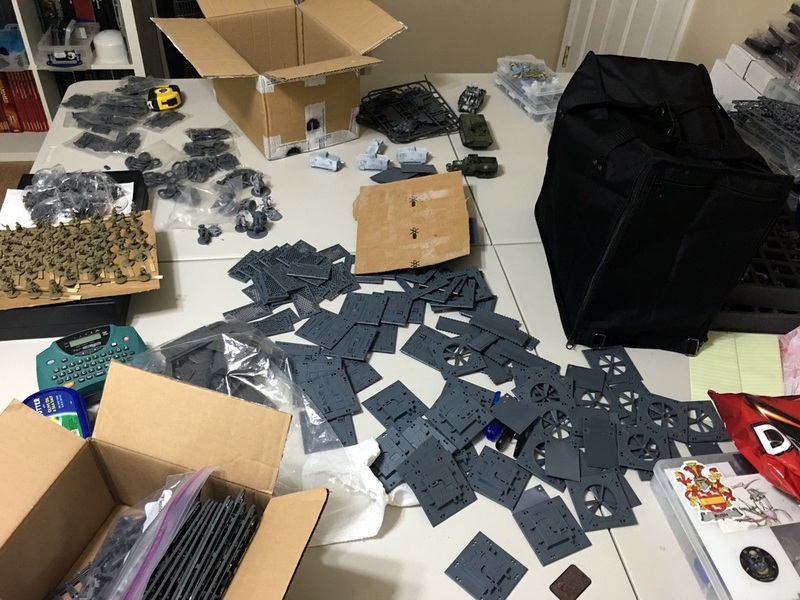 I think the work will go quickly, which is good because I’m burning 2016 – I need to figure out what I’m going to work on for the Historicon and NoVA painting competitions and then get on it. It’s already June! This entry was posted in Warpstone Pile and tagged hobby status on 2016-06-08 by Rushputin.